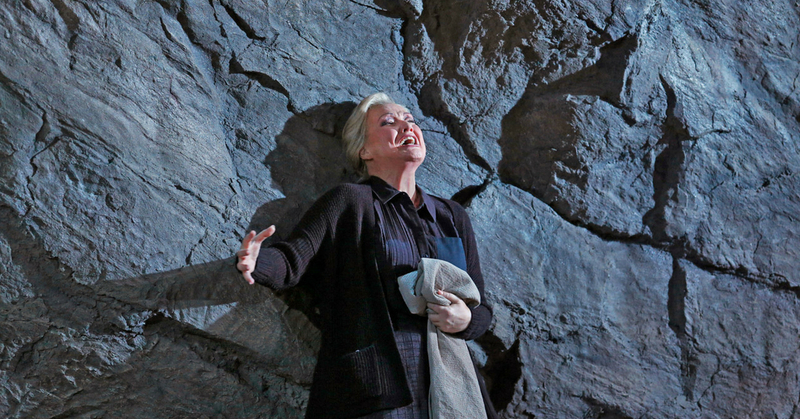 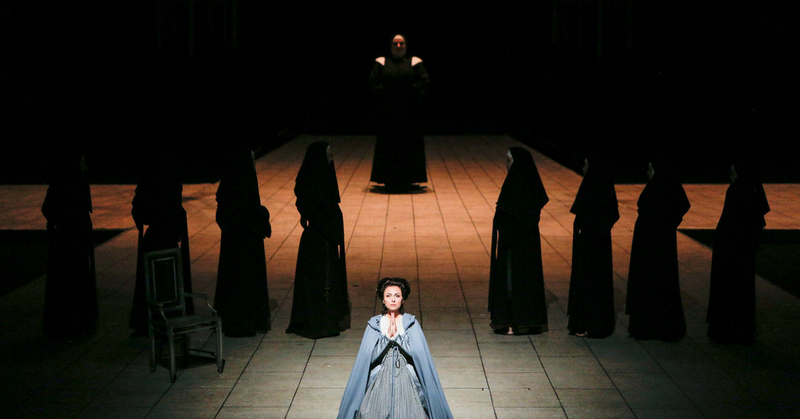 As the French Revolution begins, shy Blanche, sung by mezzo-soprano Isabel Leonard, becomes a novice nun under an elderly prioress, Met legend Karita Mattila. 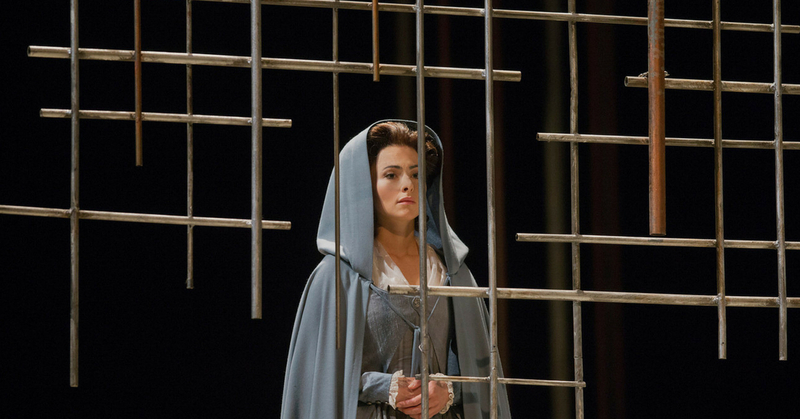 Blanche’s aristocratic family flees the terror, but she remains behind, struggling between her fear of the guillotine and her duty to the convent. 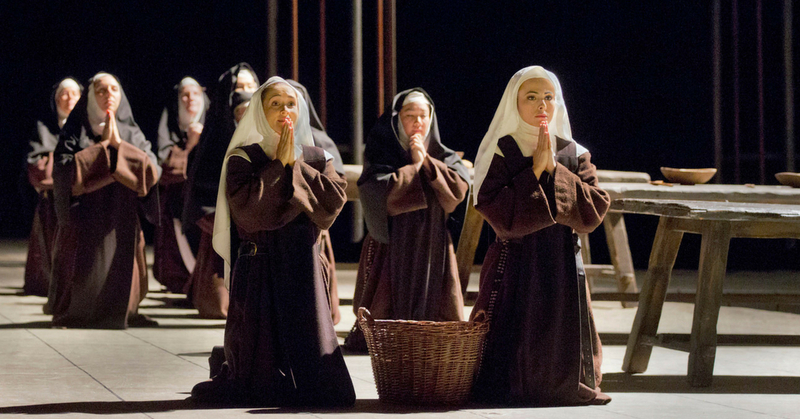 When the nuns are expelled from the convent and threatened with death, Blanche must make an agonising decision. 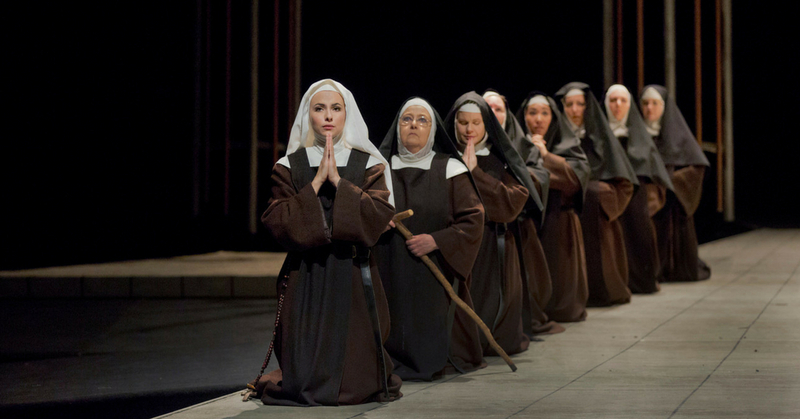 In the shattering final scene, the nuns walk towards the guillotine singing Salve Regina: Their voices are cut off, one by one, with each stroke of the blade, until all are silenced. 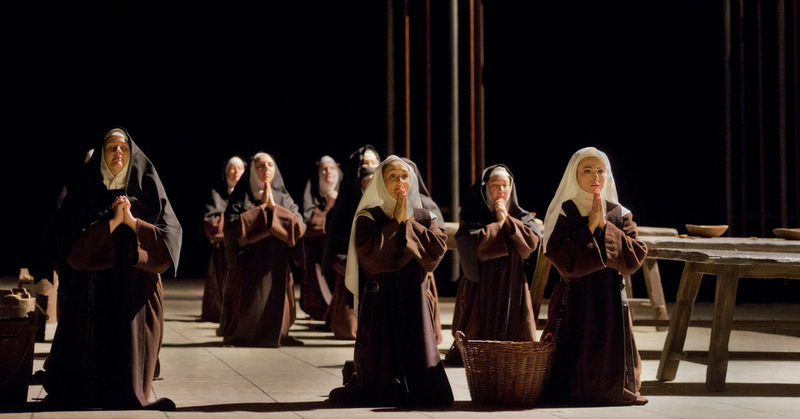 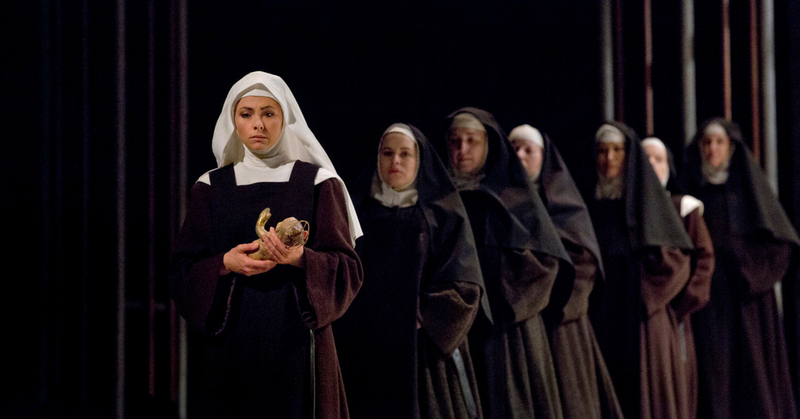 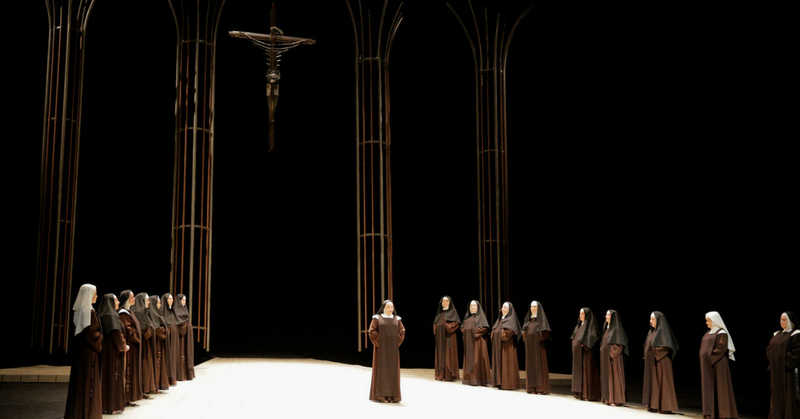 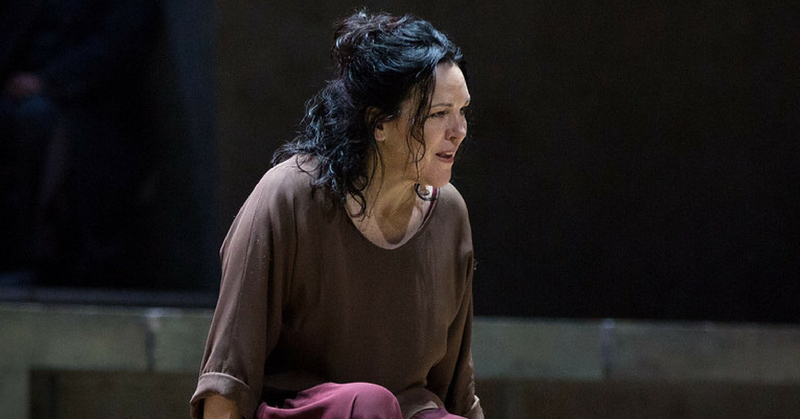 Poulenc’s devastating portrayal of faith and martyrdom is captured live on stage in New York for the first time and screened at Riverside.